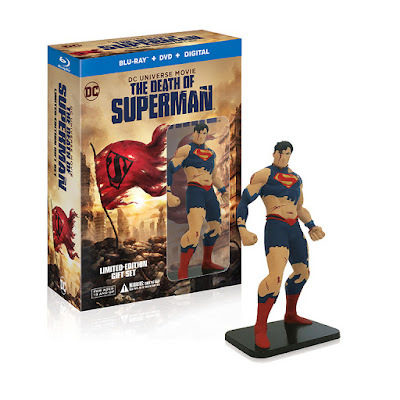 The Man of Steel meets his ultimate match when Doomsday comes to Earth – hell bent on destroying everything and everyone in his path, including the Justice League – in the all-new, action-packed The Death of Superman, part of the popular series of DC Universe Movies. Produced by Warner Bros. Animation and DC Entertainment, the feature-length animated film arrives from Warner Bros. Home Entertainment on Digital starting July 24, 2018, and on Ultra HD Blu-ray™ Combo Pack, Blu-ray™ Combo Pack and DVD August 7, 2018. I was so excited when my copy came that I just had to watch it right away. I know some people didn't like it but both my husband and I just loved this movie. We both thought it was well done. Loved the voice acting and the story was very well done. I swear this movie was so entertaining that the time went by so fast.